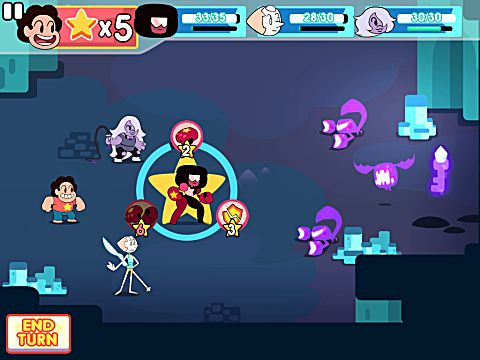 Attack the Light is a turn-based RPG based on the Cartoon Network Original show, Steven Universe -- created by Rebecca Sugar. The game was first released in 2015, and was developed by Grumpyface Studios -- who have also developed games like Bring Me Sandwiches!! and Super Mole Escape, as well as a number of other Cartoon Network Mobile games such as Teeny Titans. As for Steven Universe, it is a show goes far beyond what most children's programming would dare to do. It discusses themes of personal identity, homosexual relationships, love and consent, abusive relationships, and so much more, all while wrapping it up in brightly-colored magical shenanigans suitable for the TV-PG demographic. While Attack the Light isn't nearly as deep as the show in terms of narrative depth, it makes up for it with the surprising depth of it's solid mechanics and structure. Don't brush this game off simply because it's a mobile game or because it's based on a children's cartoon! Beneath the simple and cutesy exterior of Attack the Light lurks an RPG with enough depth and content to fill an amazing (although somewhat short) game worthy of purchase for retail price on a handheld console. Attack the Light shuns it's natural role in life as a cheap distraction for little kids that watch the show, by being a fully-fleshed out turn-based RPG that, in the developer's own words: "takes inspiration from beloved classics like Mario RPG and Paper Mario." The game takes place across a number of key locations from the show, as well as a few new locations, as Steven and The Crystal Gems (Garnet, Amethyst, and Pearl) attempt to defeat and capture seven different colored light monsters that have escaped from an ancient gem weapon. 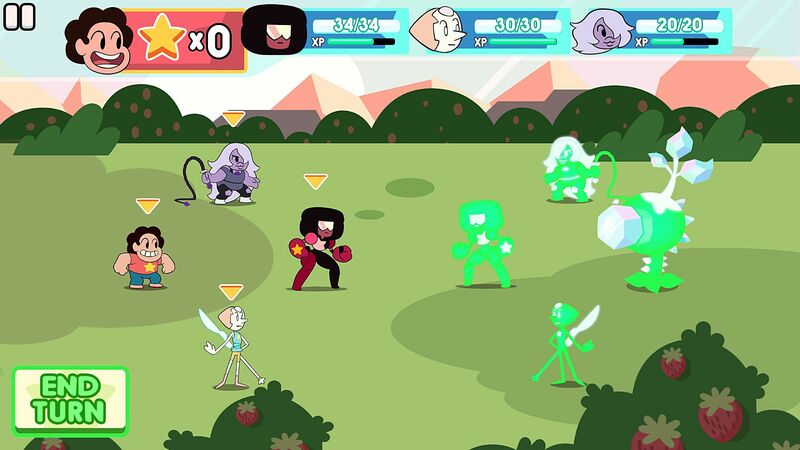 To do so the Gems must travel from area to area in order to take all the monsters out and, on the way, indulge Steven's desire to live out an RPG-Style adventure with his friends by fighting monsters and collecting loot. Map of an area showing progression and completion of levels. The plot is admittedly a great big nothing for the most part, but it still manages to surprise with it's narrative while also evoking the same tone as the show with it's minimal writing. Plus, the game's plot essentially has to mean nothing if it's going to fit naturally into the ongoing plot of the actual show. 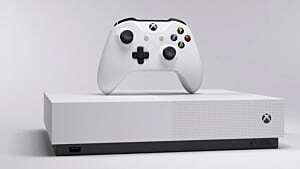 Enough about the story, what about the gameplay? Attack the Light follows a level-to-level dungeon-crawler type of structure, with Steven and the other gems moving from room-to-room by the player swiping the screen in the opposite direction that they want the gems to go. The biggest component of Attack the Light is it's frequent battles; Which are never an issue due to the strength of the combat system. 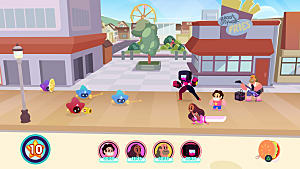 In battle Garnet, Amethyst, and Pearl take the front row as the attackers, while Steven sits in the back and doubles as both the item user and mage of the group. 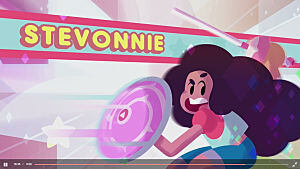 At the start of every fight the entire group is given 5 effort points in the form of "star points", and every attack from the gems or special move from Steven requires a set amount of these points in order to work. The Crystal Gems up-against a basic group of baddies. The group is given five more points at the start of every new turn, and there are several items that Steven can use in order to get more points in one turn, but the highest number of star points you can have at any given time is 9. 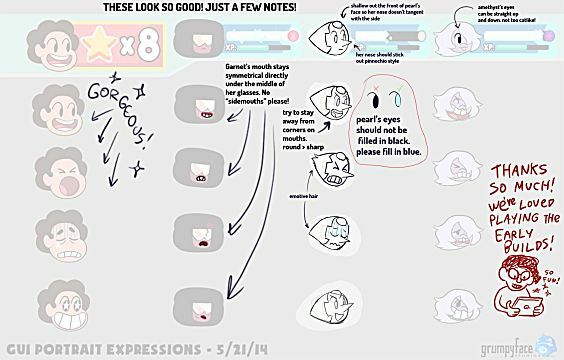 In addition to all of this, all of the gems aside from Steven have a different amount of health, referred to as "harmony", and each gem will dissipate their physical forms and leave only their gem behind when their health hits zero, leaving unconscious and in need of revival (it's a thing from the show). Certain attacks will not be able to be performed unless each gem keeps their health at a certain level, regardless of whether or not you have enough star points to do it, so this has to be kept in mind as well. All of these mechanics insure that efficient strategy is always on the mind of the player, as there is only so much that can be done in one turn. On top of this are the different scenarios that can develop, such as having one of the gems down and not being able to revive them, as well as times when the enemies outnumber you, can make the battles can get pretty tense later on. While Attack the Light isn't the hardest RPG out there on it's normal difficulty, the variety of enemies that you encounter throughout your journey will never allow you to get complacent during gameplay. There are flying enemies that can only be hit by certain moves, enemies that charge up super-attacks over time, enemies that both poison your team and heal their own, and even enemies with regenerating shields that need to be broken using a special move. 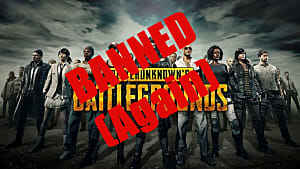 These rules apply to both the regular enemies as well as the bosses. The bosses are especially true to these rules, and will often utilize several of these tactics at once, which really pushes you to put forth your best effort. Boss Fight at the Strawberry-Laden Gem Battlefield. What else spices up the gameplay? As previously mentioned, Attack the Light's combat system takes inspiration from games like Super Mario RPG: Legend of the Seven Stars and the Paper Mario series. 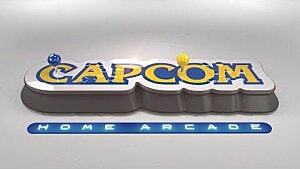 The most obvious cue taken from Paper Mario, however, is the equip-able badge system. 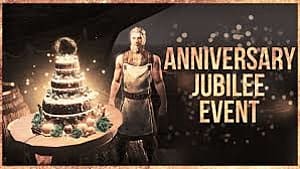 Throughout the game you'll encounter treasure chests with (what else) treasure inside, and on occasion you'll collect yourself a badge that somebody in your party can wear. 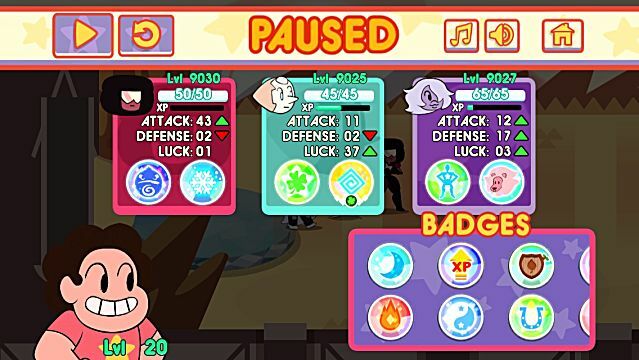 Each gem except for Steven starts out with the ability to equip one (but eventually two) of the different badges that offer a wide assortment of bonuses; Ranging from EXP boosts to poison resistance. There are a wide variety of badges, and not all gems can wear every badge, so you'll always have a fresh opportunity to experiment with different combinations of gear. The other way in which Attack the Light borrows from the Mario RPGs is in the use of timed hits in battle. Both while defending and using basic attacks, a star will appear at certain times to signal when the player is supposed to tap the screen in order to take less damage, or deal more of it. These signals take different forms with most moves, and some stronger attacks barely hit at all or even miss if they're done incorrectly. Much like the various Mario RPGs, these commands keep the player focused on the battles, even in the simplest of fights. What's there to do outside of battle? When Steven and friends are outside of battle, there's secret rooms to find, puzzles to solve, treasure and shops to find, and even secret doors that require items you collect in later levels in order to open. There's also the occasional simple dialogue tree. 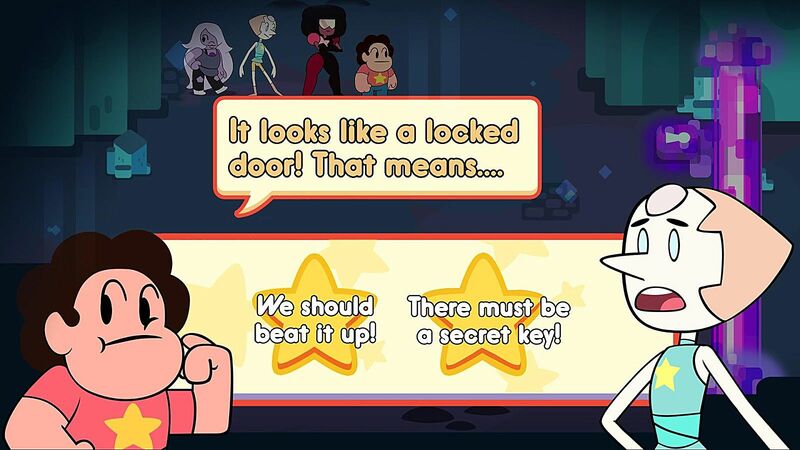 Every now and again, Steven will be presented with a choice between two or three dialogue options, and these choices will actually have short-term consequences and result in more than just a different response from one of the gems. In most of these scenarios, if you answer the question correctly, then the gem who proposed the question will receive a slight jolt in experience, and have their harmony refilled if any is missing. It's a nice way of making the dialogue actually meaningful while also giving the characters a chance to act their part. 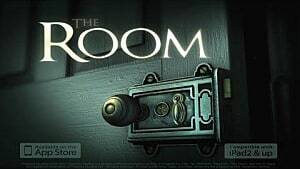 The game's relation to the show itself. Attack the Light represents its license beautifully, and rarely ever includes anything that would go against the setting or style of the show, or it's canon. While it's clear that Grumpyface Studios were big fans of the series, it's devotion to accuracy and subtle fan-service is likely due in part to the fact that Cartoon Network lent them a hand. 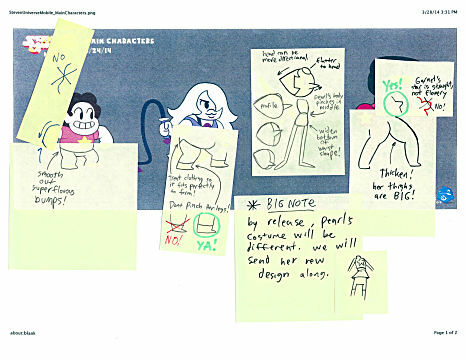 Both the show's creator, Rebecca Sugar, as well as the show's supervising director, Ian Jones-Quartey, were heavily involved in the game's development, and guided the hands of the Grumpyface staff in creating the story, the dialogue, as well as the art assets. Feedback by Sugar on the combat system GUI art. 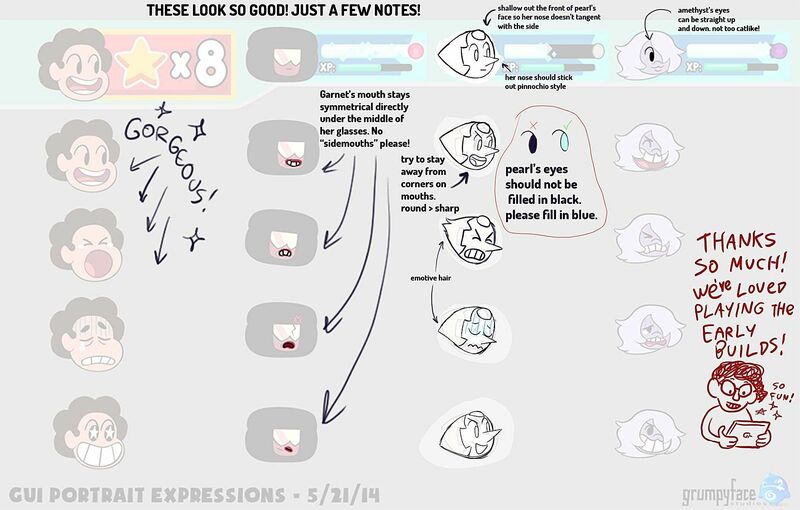 Feedback from the Steven Crewniverse on Character models. Additionally, most items and special moves are callbacks to different episodes of the first season of the show, and those that aren't feel natural in the context of the game, as well as to the canon of the show -- there be so many new types of cookie cats. While the voice acting for the characters in minimal, both the new and the old clips used for the game sound great, and the quality of the sound design overall is very solid. The small bits of character banter the game offers aren't really all that memorable, but they're all befitting of the characters they represent, and you can easily hear the real voices of the gems in your head as you read through the dialogue. The music, despite not being composed by the typical musicians native to the series, is also stylistically faithful, as well as often soothing and catchy. It's definitely more enjoyable if you're a fan of the show, but the thin layer of references that clings to it is thin enough that you'll do fine without proper context, and be able to enjoy the game regardless, so don't let that worry you. Not to mention, since the game doesn't take place at any specific point in the show's plot-line, there's very little in terms of spoiler territory -- so little that there's none, as long as I don't tell you what's a spoiler and what isn't. 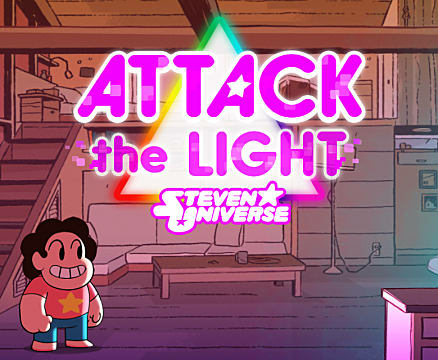 Overall, Steven Universe: Attack the Light does a great deal right and very little wrong. It can be said that the game is short, clocking in at around 4-6 hours depending on what difficulty you pick and how crazy you are for secret hunting, but it's short levels make it ideal for a mobile game to play in both short and long bursts. The story isn't great, but for licensed game relating to such a plot-heavy show, it manages to tell an entertaining -- if pointless to the show's canon -- tale with what it presents. 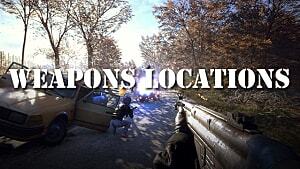 The difficulty may be a little easy for some, but this issue was addressed in a later patch by the developer. 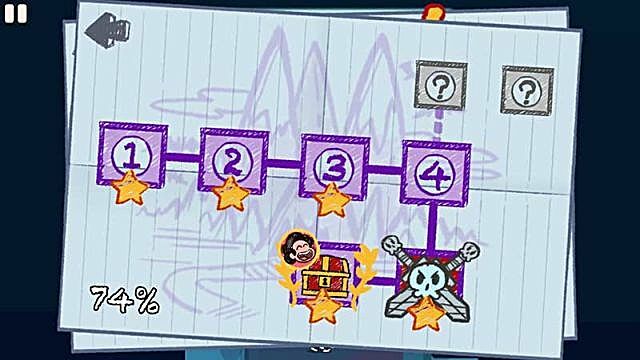 Earlier this very year, alongside the new Apple TV release, Grumpyface Studios added a new harder difficulty called "Diamond Mode" for those who feel the challenge that the game presents just isn't quite enough. To top it all off, for all the content you're getting, the game is only $3.00 on any device it is available for (iOS, Android, Kindle, Apple TV), so you're getting a sweet bargain on top of everything else. It's the teensiest bit repetitive, and a bit on the easy side, but even without comparing it to most other licensed or mobile games, Steven Universe: Attack the Light would still be an excellent game even without the advantage of it's license. If you've got some pocket change lying around any time soon, believe in Steven. 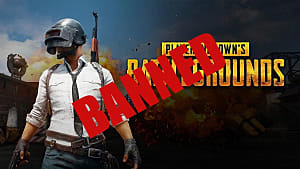 If you're looking for a mobile game that's more than a distraction, and a licensed game that lives up to it's IP, then leave it to Steven.